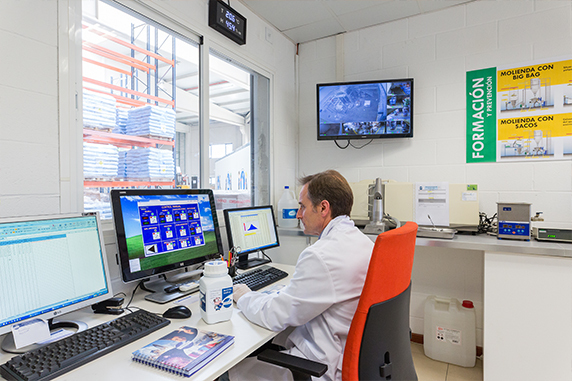 We have our own laboratory for the independent quality control of our raw materials. We have absolute traceability of the raw material from the moment it enters our facilities. 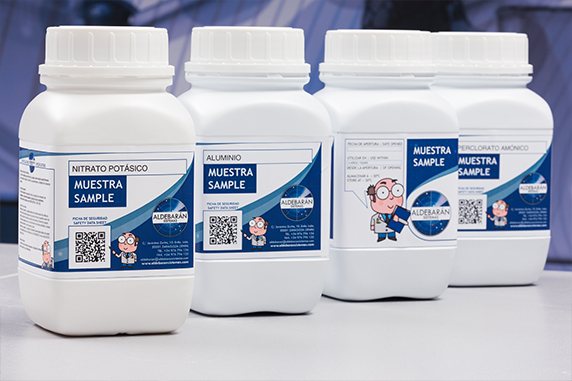 Our laboratory allows us to collaborate with our customers in the development of new products and/or applications. Likewise, we can give our new customers a service of analysis of any product they supply to us. The laboratory is comprised of a Chemical Area and a Physical Area. CUPELLATION FURNACE, to obtain ashes and waste from calcination. PH METER, to obtain pH values. Atomic Absorption Spectrophotometer, to quantitatively analyse metals, both when they are pure and if they appear as impurities. UV Spectrophotometer, to analyse inorganic salts and some non-metals quantitatively. Equipment for measurement of particle size by MALVERN laser diffraction. Vacuum conveying sieve, with its corresponding sieves to measure granulometric distribution. Oscillation / Vibration sieve with its sieves. All this equipment is checked and calibrated according to a strict inspection plan which is updated every year. These checks/calibrations are performed both internally and externally. Likewise, these internal analyses are contrasted externally in trusted laboratories and certified officially.